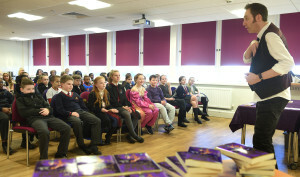 I had a fantastic time visiting schools and libraries to celebrate World Book Day (or week, as it turned out!!). 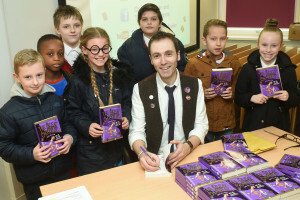 Here’s some photos from my sessions at Stockton Central Library. 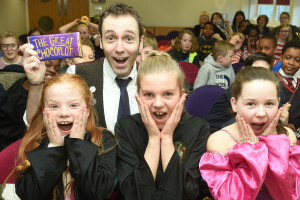 It was great to see lots of local pupils – they came, they saw, they laughed (some of them!) and they even bought books! Thank you to everyone for all your fab chocolate panic faces and your extremely loud shouts of ‘Chocopocalypse!’ – it’s always fun to shout in a library!